Proprietors & designers of anything custom for your home including furniture, window treatments, cushions, wall & floor coverings. Visit our comprehensive showroom & drapery/upholstery workroom. Brooklyn's Leading Window Treatments Specialist - Best of Houzz 2016! We provide custom Window Treatments at our store in NYC in order to help you get that dream style for your home. We strive to give our customers the best experience over the past 32 years by providing high quality custom window treatments and slip covers backed by unmatched service! Rosanti Floor Covering is a family owned and operated business that has been serving the Westhampton Beach community and surrounding communities for over 35 years. East End Blinds is a shop-at-home Hunter Douglas dealer in Long Island, New York offering free consultation on blinds, shades, shutters, draperies and interior design. Since opening our doors in 1998, we’ve treated every customer like they were a part of our family. Other companies may offer similar services, but our services come with a personal touch. 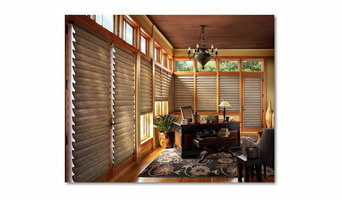 Suffolk County's Top Window Treatment Pros - Visit Our Showroom! Our beautiful showrooms feature thousands of fabrics as well as the Hunter Douglas collection of window coverings, with interior designers on hand to offer free guidance. Windows & Walls Unlimited has been providing customers with quality home products and exceptional service for over 30 years. Our policy of giving our clients quality products, discounted pricing, and expert installation has made us one of the best values in window fashions throughout the country. Professional Drapery Workroom servicing Long Island for over a decade. 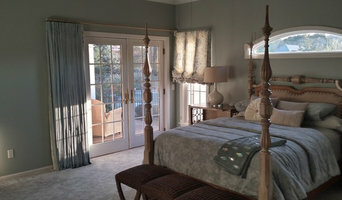 Fabricating drapery, cornices, valances, roman shades, cushions and pillows for Long Island and the Tri-State area. Graber products also available.